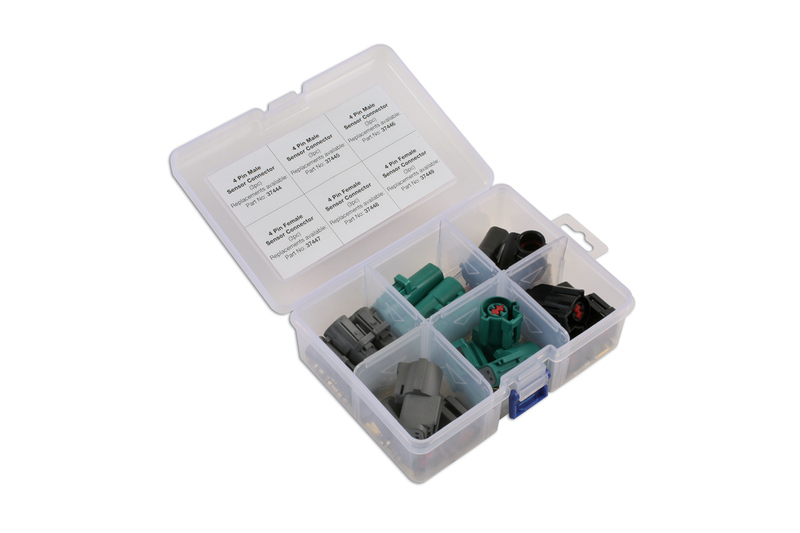 Popular assortment of electrical connectors to suit Ford. 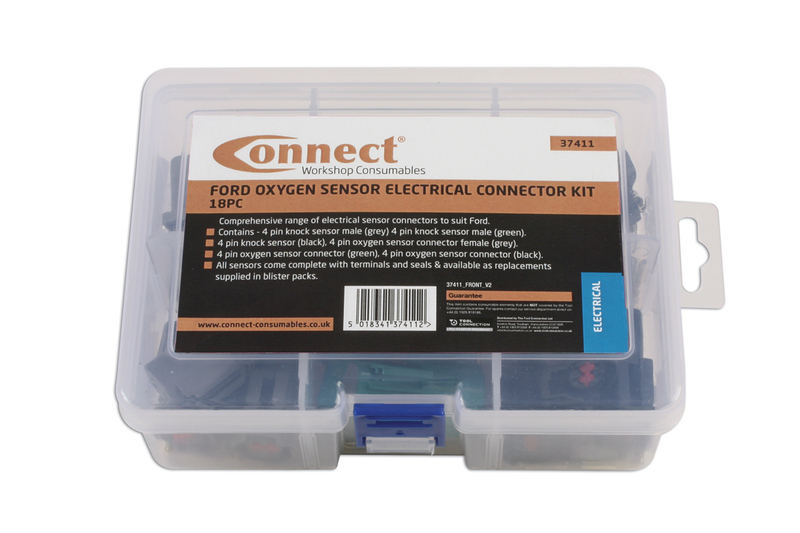 Kit contains 3 different oxygen sensor connectors which are colour coded for ease of identification. Each of the 3 housings have different configurations to prevent the wrong connectors being connected together. 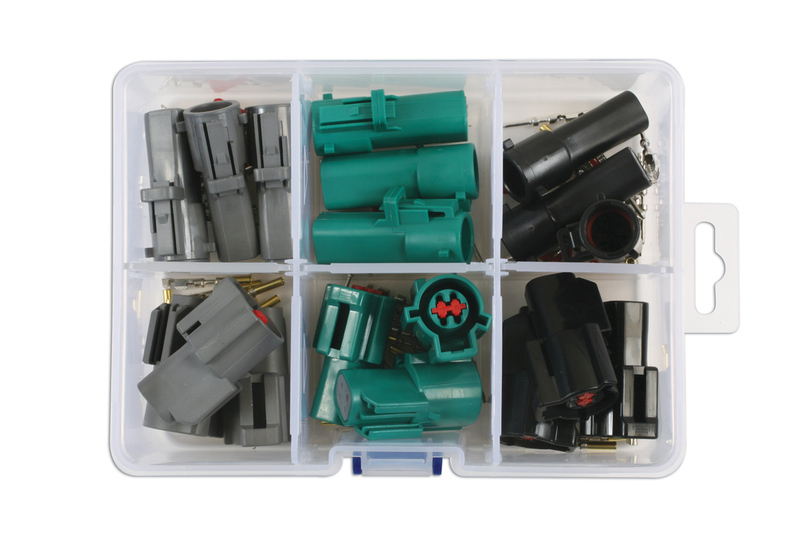 Kit comes complete with the correct amount of non-insulted terminals and with rubber 4 pin seals to make the connections weatherproof. Comprehensive range of electrical sensor connectors to suit Ford. 4 pin oxygen sensor connector (green), 4 pin oxygen sensor connector (black). 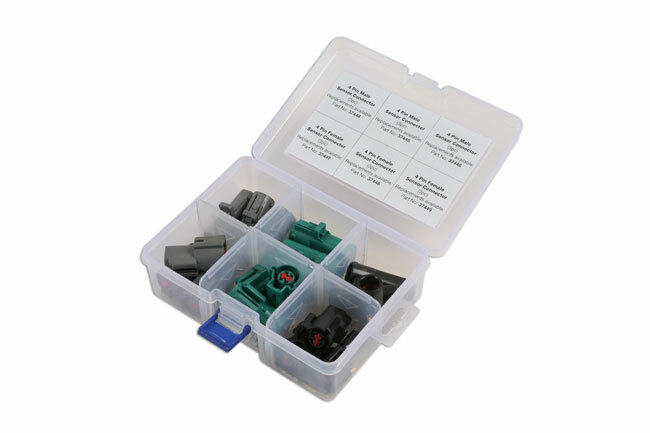 All sensors come complete with terminals and seals & available as replacements supplied in blister packs.